Mr. Kelly is an experienced and successful personal and business advisor, and a Member of Kelly, Kelly & Marotta, LLC, in Maywood, New Jersey. His experience includes the representation of individuals and business clients. He advises clients in the purchase and sale of businesses, residential and commercial real estate, and negotiation of various contracts. He also advises clients with regard to estate planning and administration and elder law issues. When the need arises, Mr. Kelly is an experienced civil litigator, particularly in the areas of chancery and estate litigation. Mr. Kelly has handled complex corporate and commercial matters; defamation cases, and civil rights cases. He has successfully defended negligence and product liability cases and insurance coverage disputes in both New York and New Jersey. He also has substantial expertise in commercial and residential land use projects and government law, interacting with all levels of government. Over the years he has also served as attorney to several municipalities, most recently the Township of Saddle brook. Mr. Kelly is a graduate of Fordham University and Seton Hall University School of Law, where he was a member of the Legislative Law Journal. Before practicing law, Mr Kelly was the former Law Secretary to Honorable Kevin M. O'Halloran, Presiding Judge, Superior Court, Chancery Division, General Equity Part, Bergen County and Assignment Judge Peter Ciolino. Judges of the New Jersey Superior Court have appointed Mr. Kelly to serve and assist the court on complex legal matters, including Plenary and Emergency Medical Guardianships. In addition he has served as an Arbitrator in the New Jersey Superior Court Mandatory Arbitration Program. He has been appointed as Boundary Dispute Commissioner and Condemnation Commissioner in various Superior Court matters, is Legal Counsel to the Land Use Board of the Borough of Bogota, and sits as Judge of the Municipal Court of New Milford. Mr. Kelly is an Adjunct Professor at Bergen Community College. 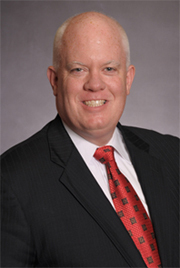 Mr. Kelly has also lectured at seminars presented by the National Business Institute; the Institute for Paralegal Education; the New Jersey State Foundation Speakers Bureau, and for clients. A former Councilman of the Borough of New Milford, Mr. Kelly continues to be involved in his community and various pro bono publico programs. He has served as a member of the New Jersey State Bar Association Emergency Task Force. He is a member of the Bergen County Bar Foundation. Mr. Kelly is also fluent in Spanish. Business Formations, Business Disputes, Defamation, Health care Law, Plaintiff’s personal Injury, Insurance Defense, Commercial and Residential Real Estate, Land Use and Zoning, Estate Planning and Administration, Municipal Law, Commercial Litigation and General Litigation and Elder Law.